Our easy-to-use uplighting units run off lithium battery power! That means no messy cords in your event pictures or trip hazards for your guests! Whether it is a plain wall or a beautiful fireplace, allow our (cool to the touch) LED lights to add a little extra pop to your event. 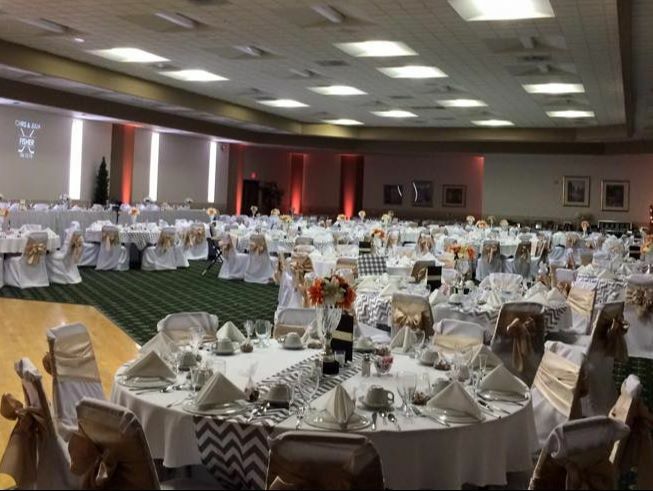 With over 9 colors to choose from, we are able to incorporate your wedding colors throughout your venue. Lighting also helps to give your dancing guests that night club feel. We are happy to offer up to 16 rentable fixtures for your event!